The author of Do Not Say We Have Nothing discusses how she wrote her generations-spanning novel. 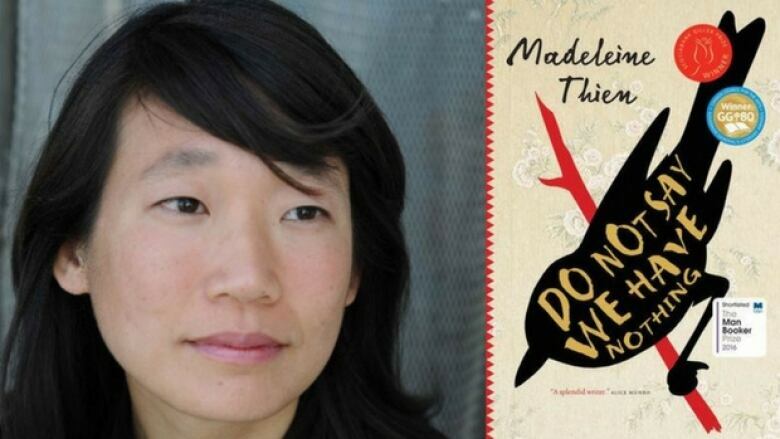 Madeleine Thien's Do Not Say We Have Nothing won the 2016 Governor General's Literary Award for fiction and the Scotiabank Giller Prize, and was a finalist for the prestigious Man Booker Prize. The novel centres on three gifted musicians whose lives are profoundly impacted by the political shifts of 20th century China. In her own words, Thien explains how the questions raised by her previous novel, Dogs at the Perimeter, inspired the themes of Do Not Say We Have Nothing. "I started writing Do Not Say We Have Nothing in 2011, just after my last book, Dogs at the Perimeter, had been published, and I think I just needed to write in a different way. Dogs at the Perimeter had been such a struggle, and publishing that was very difficult for me because the subject, the Cambodian genocide, is so distressing. I'm very proud of the book, but I think emotionally I needed some space, so I wanted to try something very different. "It's a kind of stubborn persistence — even though the writing of Dogs at the Perimeter was so difficult, the questions it had raised for me were still unresolved. So this latest book picks up where the thinking of the previous one had left off, but artistically tries to enter into it in a very different way. With this book there was a much bigger canvas, and there was more space to look at the fullness of a life." "In my memory, the Tiananmen Square protests were the beginning of 24-hour news. It was such an extraordinary time because so much of the Western media had come to China for this historic meeting between Gorbachev and the Chinese leadership, and what they arrived to find instead were these students in Tiananmen Square. I was 14, and very idealistic. It was so extraordinary to see these young Chinese university students with banners, giving these moving speeches and seeing themselves as part of a tradition of student activism that went all the way back to May 4, 1919. "At the time, I think many of us thought we were watching something momentous — and it was, just not in the way we thought. I think the emotions that many people felt when the Berlin Wall came down, which happened just a few months later — I think that is what we thought was about to happen in China. There were so many different potential outcomes." "Many of the forms of expression that appear in Do Not Say We Have Nothing are different facets of the same exploration — the musical notation, the Chinese ideograms, the mathematical notation and the visual representations from photographs and so on. Maybe it was a tribute to the many nonverbal languages we all carry without really knowing it. They all give us something that we don't easily access in language. "As I prepared to write the book, I listened to a lot of music, particularly the musical pieces I referenced in the book: The Goldberg Variations, a lot of Shostakovich and a lot of Prokofiev, just because of the political nature of China at that time and what would have been available. For the musicians, they would have had more Eastern European and Russian teachers, as Shanghai was one of the places you could go to without a passport, so they had a lot of refugees from the Russian revolution and, later on, from 1930s Europe." "I didn't feel I was writing a novel of Chinese history. I felt I was writing the birth and the life and the death of Sparrow [a gifted composer who is teaching at the Shanghai Conservatory of Music during the Cultural Revolution]. In some ways Sparrow becomes the invisible character, but he's there from the beginning to the end. It's a book about him, but told through the people he loves — and the people who he can't love. Rather than doing justice to the events in Chinese history that occur, I chose to see it as an exploration of all the events that kept reshaping the events in one person's life." Madeleine Thien's comments have been edited and condensed.